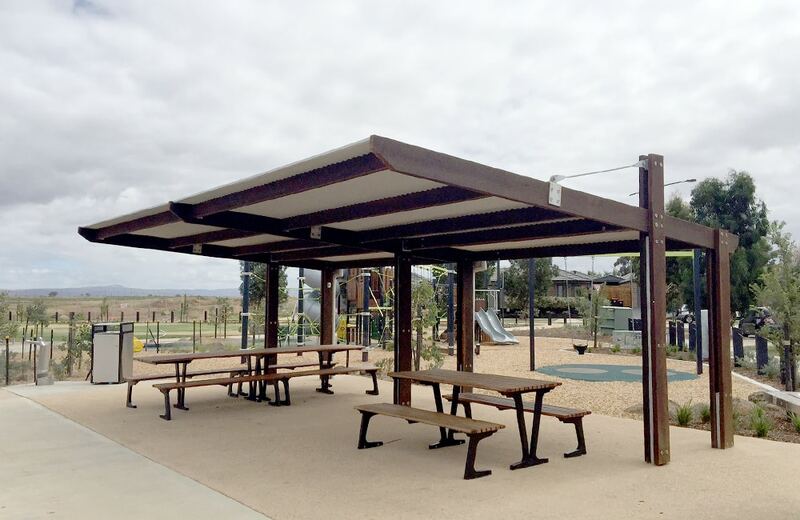 The smart looking Longreach park shelter installed by Landmark Products is a welcome sight for residents. 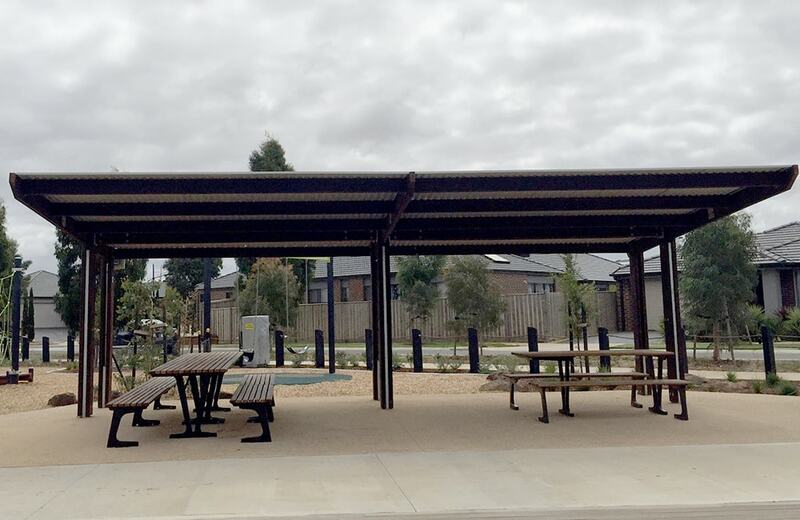 Due to circumstances outside of their control, the wait for park facilities in the South Melton development (45 km north-west of Melbourne CBD) has been long, but ultimately worth it. What was once open paddock fit only for grazing or trail bike riding is now a superbly designed and functional neighbourhood park. 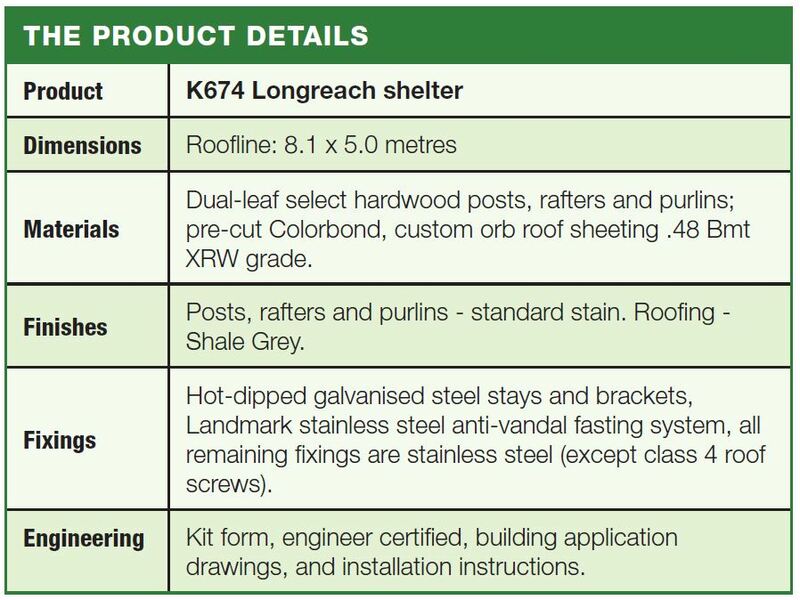 The Longreach shelter – providing 40 square metres of shelter – is superbly designed, with the in-ground, dual-leaf posts, positioned toward the back of the cantilever. 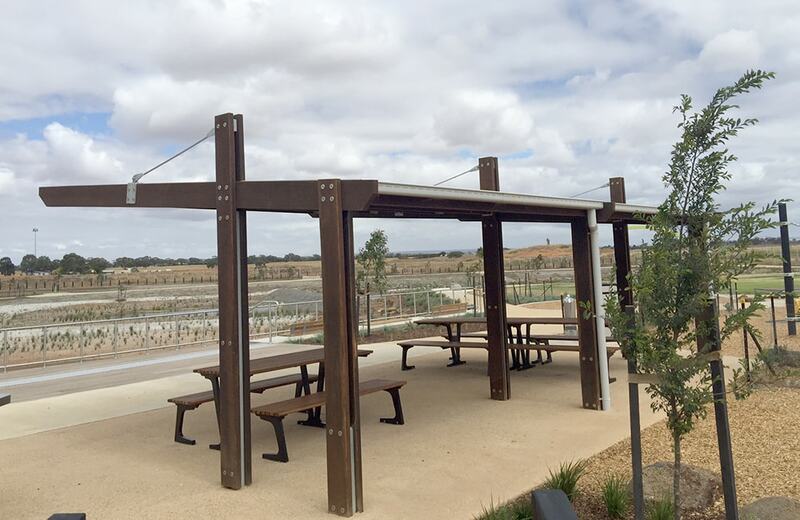 Park goers can therefore enjoy room to move around the Furphy Foundry Fulcrum picnic settings and an interrupted view across the landscape. The thick timber posts, with natural finish, compliment any park. 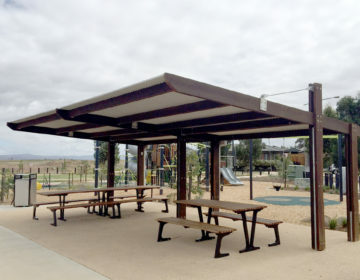 In this instance, the park shelter was supplied with gutters and down-pipes so residents can enjoy the park when light rain may be falling. 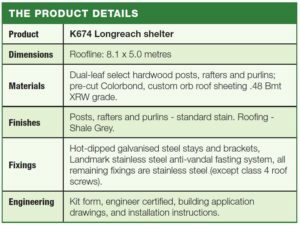 Landmark also supplied four Furphy Foundry Fulcrum 1.8 picnic settings and a Furphy Fulcrum general litter receptacle as part of the project. 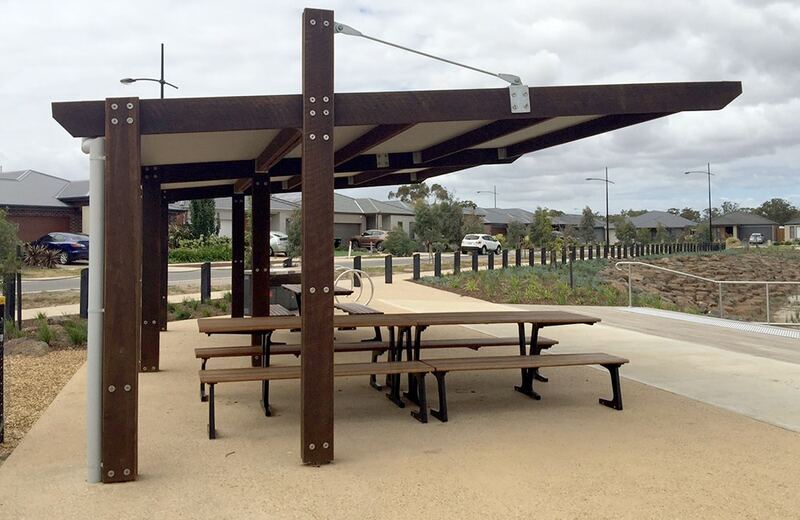 The picnic settings and litter receptacle feature cast aluminium ends and frame respectively. 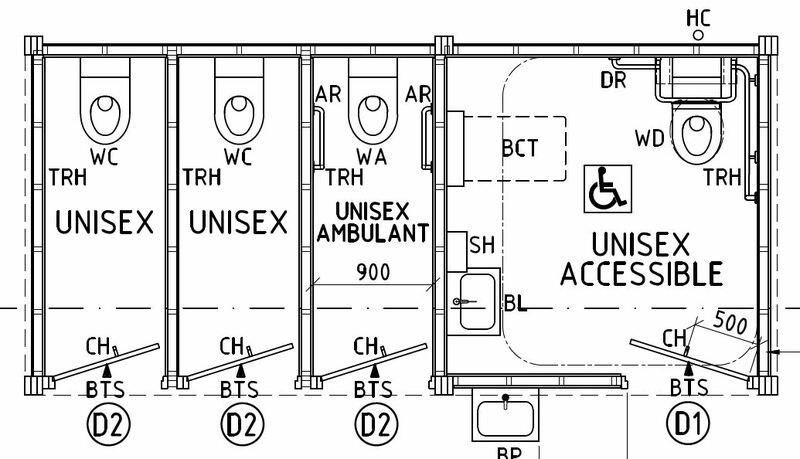 In this instance, Landmark Installation also erected the shelter which was delivered in kit-form onsite. 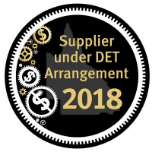 Thank you to Citywide Service Solutions for coordinating the project on behalf of Melton City Council.